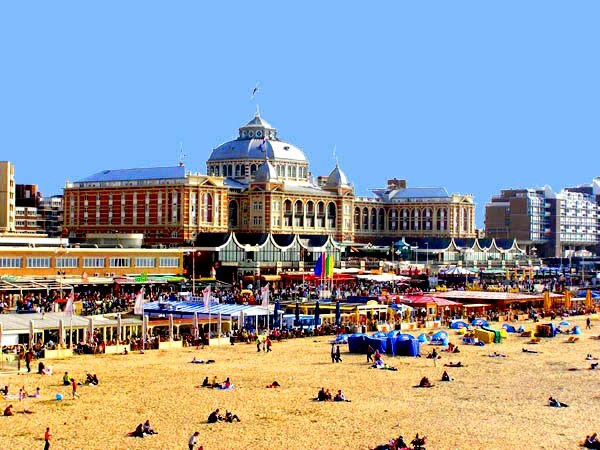 Next on my list of top ten things to see and do in The Netherlands is the seaside town of Scheveningen. The town was first established during the Middle Ages, around 1280 when it was nothing more than a small fishing village. Through the years, it has witnessed many events - one of the most famous being the Battle of Scheveningen which saw fighting between the Dutch and English fleets on August 10, 1653. In 1818, a man named Jan Pronk built a facility in the dunes where from which people could go sea bathing and it was then that Scheveningen began to build its reputation as a seaside resort. It first attracted many German tourists who desperately wanted to visit the seaside and the Dutch sea port was actually closer than the German beaches in the North. To this day, it remains a popular tourist destination with Germans in search of sand, sea and waves. 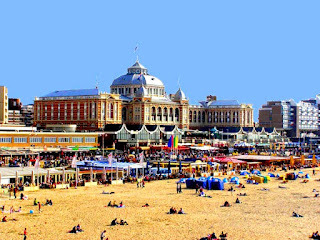 In 1886, the famous Kurhaus resort, hotel and restaurant was built to accomodate a richer class of tourists and remains as the famoud landmark that Scheveningen is known for today. The resort still attracts rich, famous, and royal tourists any time of the year -- the summer being the most popular. The high tea offered by the Kurhaus is highly recommended and if you are ever in town, make sure you take time to enjoy tea by the sea. One of the most curious things about Scheveningen is the numerous strand tentjes or beach hut-style restaurants that are constructed for the warmer summer months and torn down by mid-October. These restaurants and clubs are of a temporary nature, so it's not a good idea to get attached to these places knowing they won't be around during the colder winter months. Of course, there are still plenty of delicious restaurants, casinos, bowling alleys, and night clubs that remain open to keep this seaside town attractive throughout the year.